The process is the same whether you’re referring for a mobile phone or for TV/Broadband. Visit this page for mobiles, or this page for TV/Broadband. 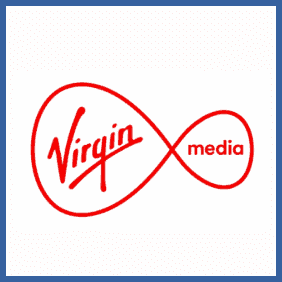 Log into your Virgin Media account. Ensure you have your friend’s permission to provide their details, as referring them will involve a call from the Virgin Media sales team. Select the product you wish to recommend to your friend and fill out their details. Once the service is up and running you’ll receive your reward. Provide your friend with your contact details. You’ll receive an email and a call, both of which will offer you the opportunity to begin a new subscription or contract with your referral bonus. Simply go through the steps as normal, you’ll be credited with the referral bonus once your service has started. As an existing Virgin Media customer you can refer a friend and grab you and your pal a £50 credit towards future payments. This applies to Broadband, TV and Phone but there’s also a separate Mobile Phone deal where your referral reward depends on the model of phone you buy – you might share anything from £30 to £100 between you but you can also choose to keep the lot or give it all to your friend – quite the moral dilemma.